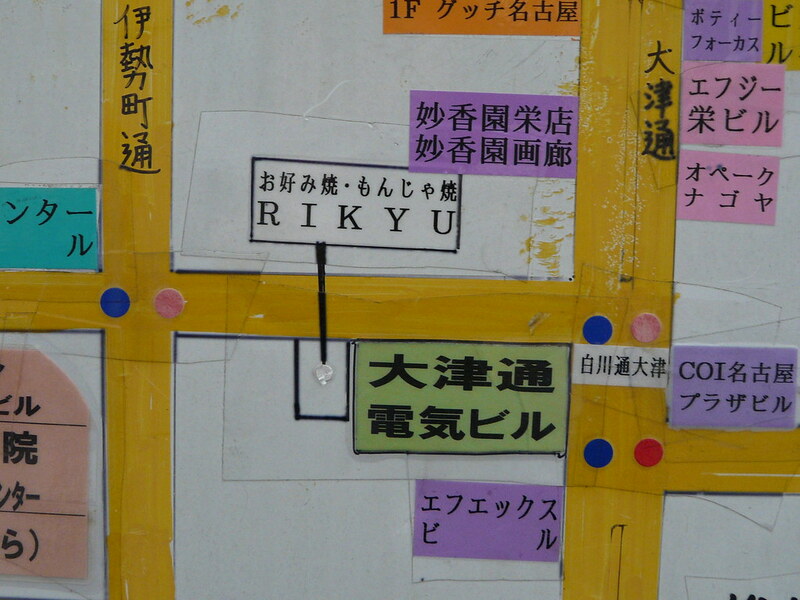 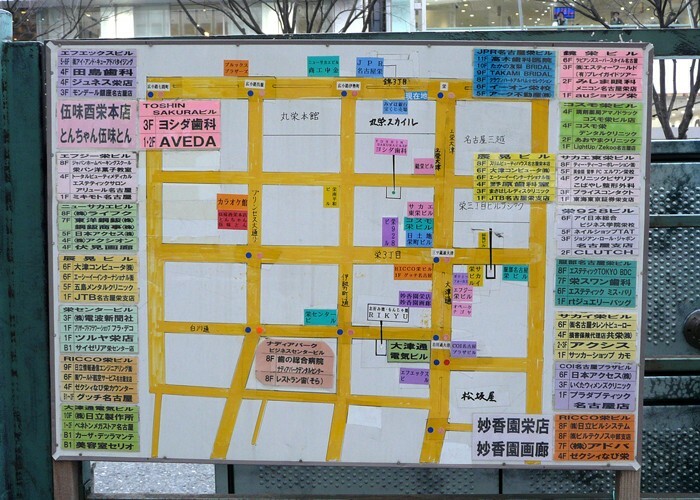 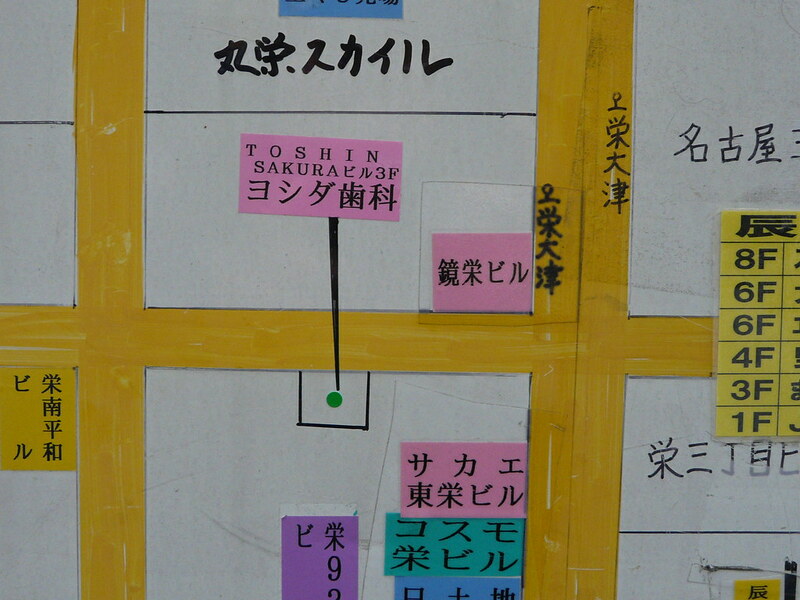 Hand made map showing shops and attractions in the center of Nagoya’s shopping district, Sakae. 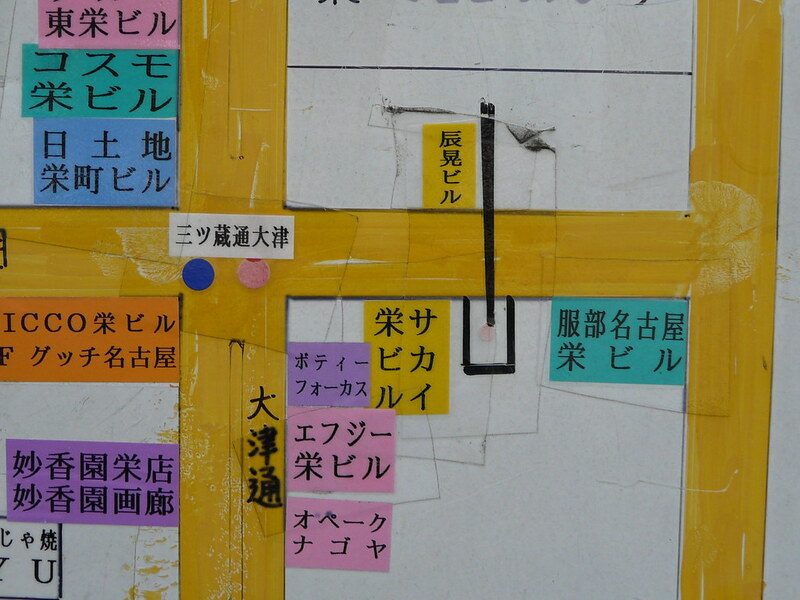 Various fonts, paper, and hand written annotations, along with fading, wear and tear evoke the temporality of commerce. 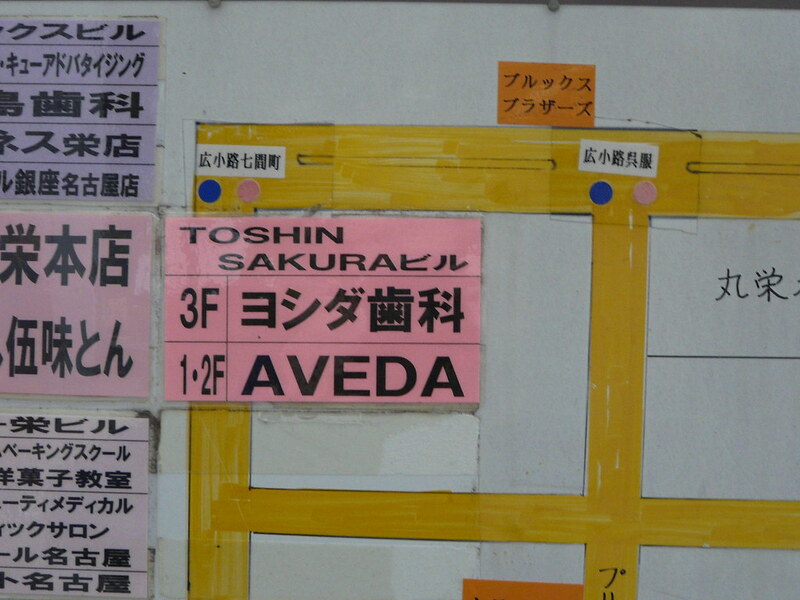 I wonder what rules and regulations hold for the those allowed to add to the sign. 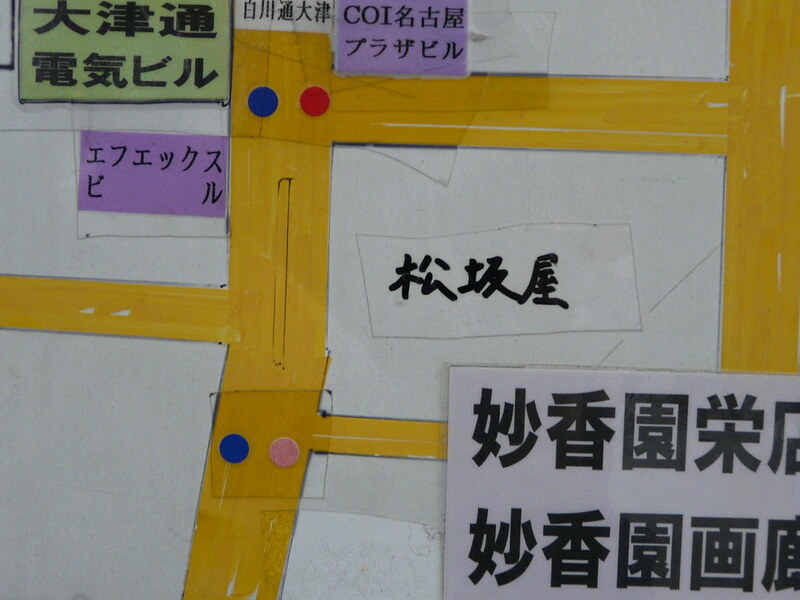 What are the penalties for unauthorised editing?